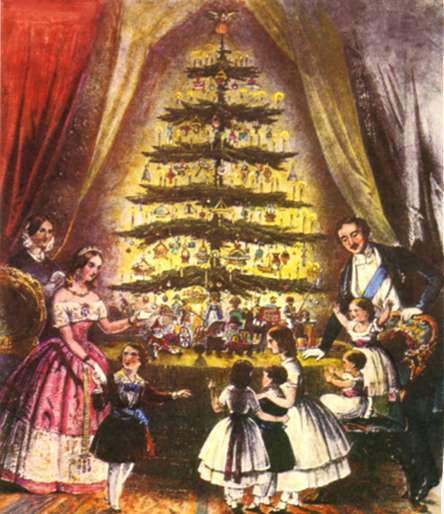 I started out thinking of posting some kind of historical summary of Christmas trees but abandoned that notion after the first Google search. Who knows when humans first noticed the start of the sun’s return at the darkest time of the year? When did we first wonder why some plants stay green while others wither? 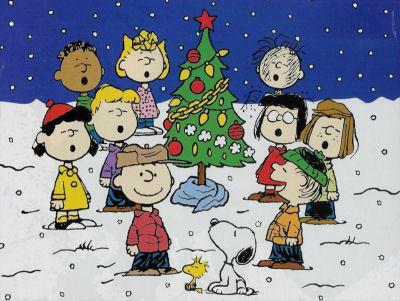 For a good overview, check out history.com: http://www.history.com/topics/history-of-christmas-trees. Rather than compete with the History Channel, I decided to simply post a few interesting tidbits and legends I happened across. The Egyptians did not have pine trees, but they did have palms, another evergreen tree, and they brought the fronds inside at the time of the winter solstice to celebrate the return of Ra, the sun god. 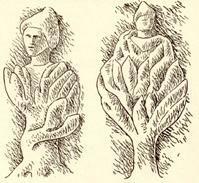 The prophet Jeremiah condemned the middle-eastern practice current in his time, of bringing trees indoors (often carved in the shape of a god or goddess) and decorating them. Jeremiah 10:2-4 has often been cited by Christians who oppose the custom, even though the passage was written centuries before the birth of Christ. Early Christians in Rome apparently set the date for Christmas to December 25 in an effort to convert members of the popular cult of Mithras, a dying and resurected god whose birth fell on that date. Supposedly, these early Christians incorporated trees into their celebration, as an additional appeal to the Mithraic cult. Tertullian (160-230) a church leader and prolific writer, complained of those Christians who adopted the pagan custom of lighting lamps and hanging laurel wreaths at the time of the solstice. With or without trees, Constantine ratified Dec. 25 as the birth of Christ, a move aimed at followers of both Mithras and Saturn, who had major holidays at the time of the solstice. Beginning in the eleventh century, one of the popular “Mystery Plays” depicted Adam and Eve’s expulsion from the Garden of Eden. The plays were presented in winter, so evergreens were the logical choice to represent the lush trees of the garden. They were decorated with apples, the forbidden fruit, and over time, with communion wafers as well – the tree of knowledge became the tree of life. The rose was already a symbol of the Virgin Mary, which makes me wonder if they were using the smoke to send prayers or offerings to heaven. Or maybe they just had a little too much mulled wine. One account credits Martin Luther, who was pondering a sermon while walking home, and happened to look up at a dazzling sky full of stars, shining through evergreen boughs. As a result, he is said to have set up a lighted Christmas tree for his family. Another source claims the custom of lighted candles originated in France in the 18th century, but every other bit of European Christmas tree lore I’ve found is Germanic in origin, which makes me doubt that claim. On the night of December 25, 1776, while Washington led his rag-tag army across the Deleware in a driving snowstorm, unsuspecting Hessian troops in Trenton celebrated what they expected to be a peaceful Christmas night. One source speculates that their Christmas trees, fueling nostalgia for home, helped draw them from their guard posts to go indoors and celebrate. Hessians, including the mercenaries who fought with the British, are credited with bringing the custom in America. December, 1853, under the administration of Franklin Pierce. Thanks to Gordon Lightfoot, everyone knows of the Edmund Fitzgerald, a freighter that sank on Lake Superior in November, 1975, but an earlier disaster, “when the storms of November came early,” also captured the public imagination. On Nov. 23, 1912, the Rouse Simmons (named for the industrialist whose name still appears on mattresses) was bound for Chicago with a load of Christmas trees. 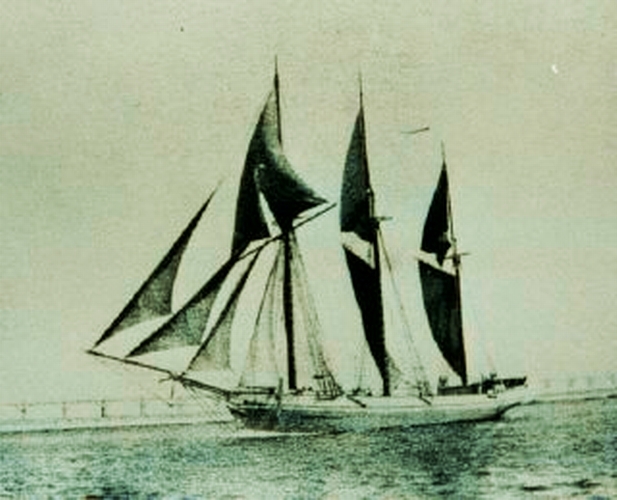 She sank in a storm off Two Rivers, WI with fifteen men and one woman aboard. Legend says the Rouse Simmons can sometimes be seen rising out of the fog on Christmas Eve. To the later consternation of generals, peace broke out all along the western front on December 25, 1914. There was no plan, no prearrangement, and it seems to have happened differently in different sections of the line. 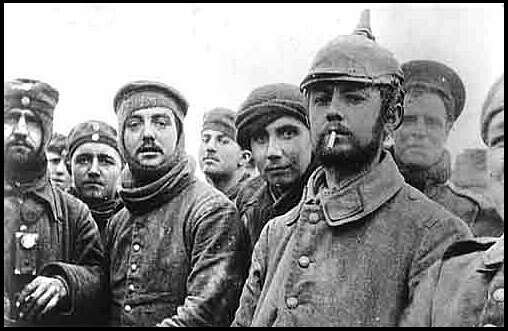 In one account, the Germans began singing, Stille Nacht, the British responded with Silent Night, and men on both sides spontaneously climbed out of their trenches, hands in the air, to meet in no-man’s land. They traded cigarettes, food, and song. When daylight came, they played soccer. The story usually has hostilities resuming the next day, but in some parts of the line, the men were able to resist orders to resume fighting for several weeks. In one account, on FirstWorldWar.com: Along many parts of the line the Truce was spurred on with the arrival in the German trenches of miniature Christmas trees–Tannenbaum. The sight these small pines, decorated with candles and strung along the German parapets, captured the Tommies’ imagination, as well as the men of the Indian corps who were reminded of the sacred Hindu festival of light. Light is what the solstice is about all over the world, in any number of ways. Hanukkah is the eight day Jewish Festival of Lights in early December. Diwali is the five day Festival of lights in early December for Hindus, Sikhs, and Jains. Both holidays celebrate the victory of good over evil, of light over darkness. 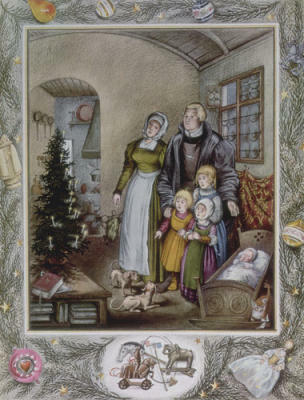 Until the 20th century, December 13, was thought to be the longest night of the year in Scandanavian countries. December 13 is the feast day of St. Lucy, one of the few festivals of a saint celebrated in Northern Europe. On Saint Lucy, or Santa Lucia’s day, young girls in march in procession carrying candles or even wearing crowns of candles in the north, and in Italy, Malta, and the Balkans. Paramahansa Yogananda said it only takes one little flame to drive a thousand years of darkness out of a cave. In this time of cold and darkness, may we consider the way that light and warmth manifest and can manifest in our own lives.